Join us at the Fisher Fair for a fun Saturday morning as you run/walk through the village of Fisher. The course is generally flat with a few short uphill grades. It starts and ends at the fair grounds and is run on village streets within the residential areas of Fisher. Great goody bags, T-shirts, post race refreshments and lots of door prizes. Present your bib number on Saturday night and receive free admission to the Demolition Derby. What are you waiting for? register online at Fisher Fair 5k 2018. Preregistration ends on June 30th at midnight. Registration on July 1st or after is an additional $2.00. 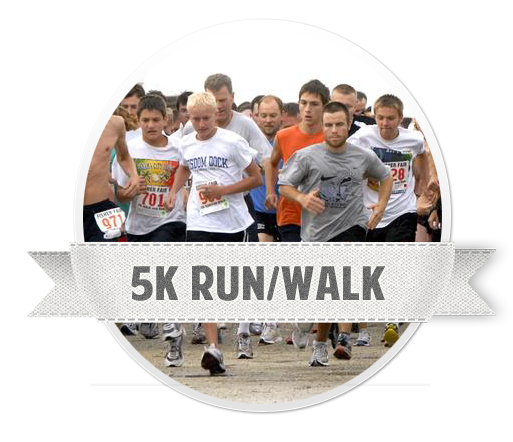 For complete race information, go to https://www.active.com/fisher-il/running/distance-running-races/fisher-fair-5k-run-walk-2018.